My first idea for part two of this story was to write something about the electrical wiring and the other hidden installations, like the vacuum cleaning piping or the piping for pressurised air. 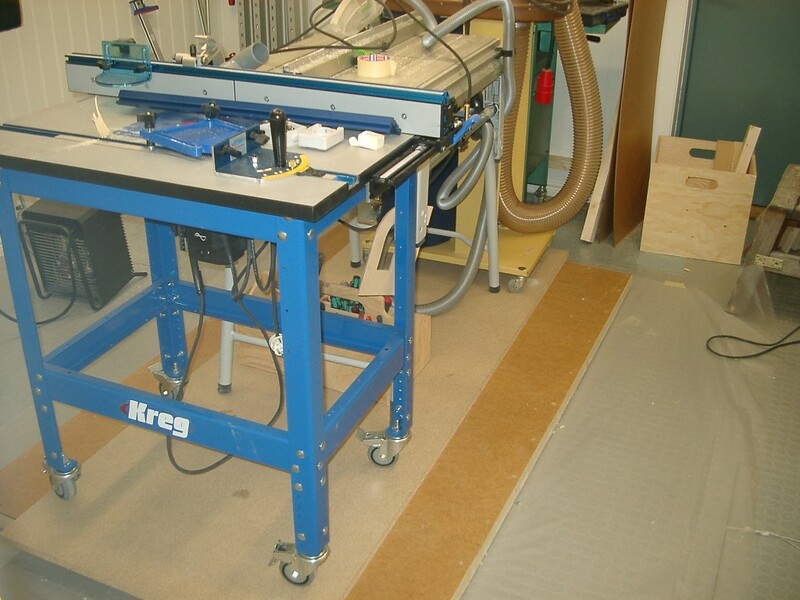 But there has been some discussions at the Swedish discussion forum byggahus.se about solutions in small shops, and someone mentioned my folding table for cutting sheet goods. So I decided to write about the table instead. 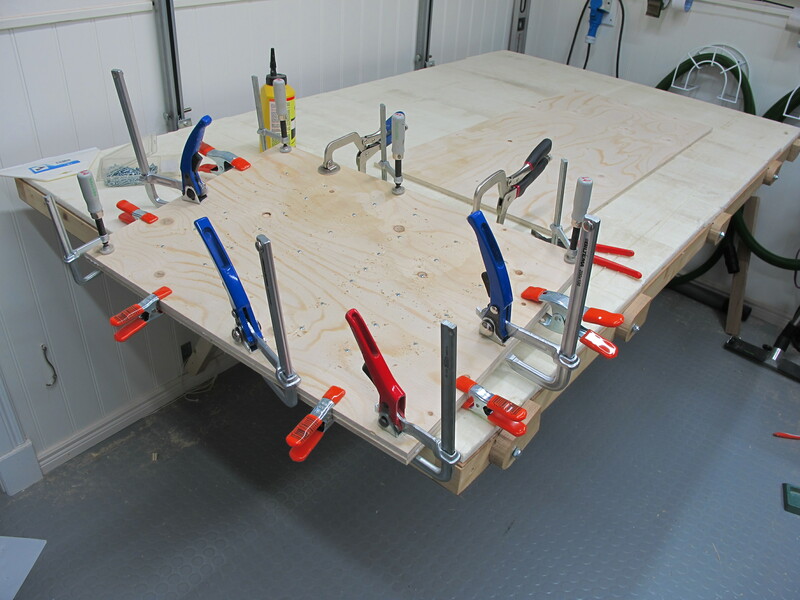 I’m not sure if the table is entirely my own idea, but I haven’t seen this kind of table in any workshop yet. Well, not in any workshop pictures on the web, that is. 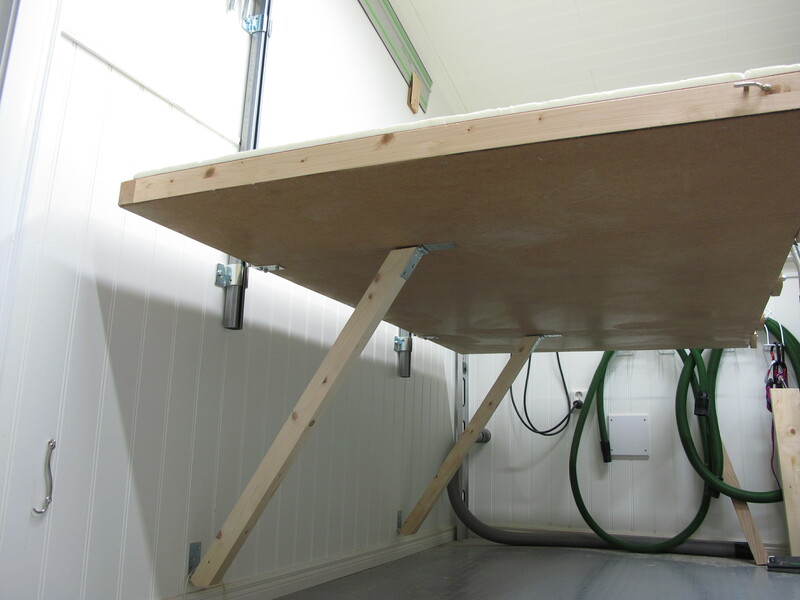 Since this solution requires a leg rather close to the wall, the table top had to be made as stiff and light as possible. I made the table top with a frame of regular 45×70 (2”x3”) that were dried, ripped in half and glued together after one of the two parts had been flipped and rotated 180 degrees. 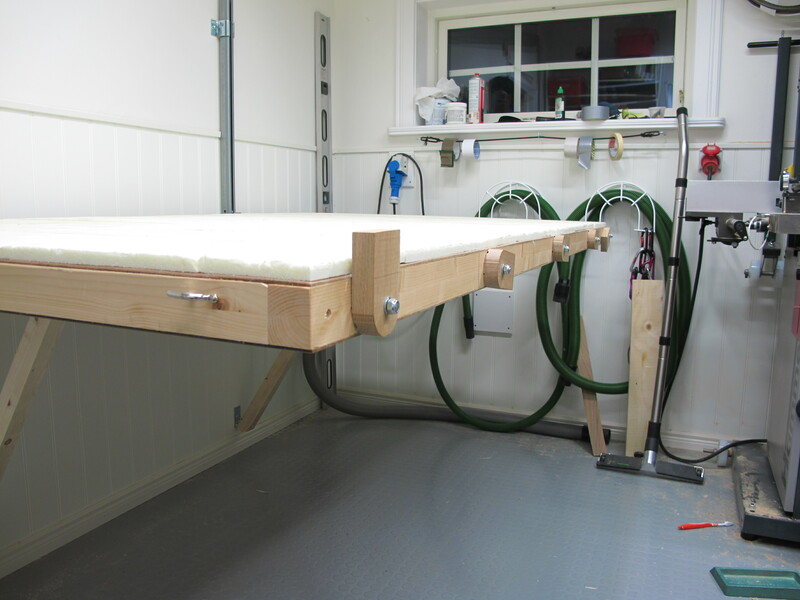 This method makes the wood less prone to warp, and the table top will not change its shape much due to seasonal changes on humidity or temperature. 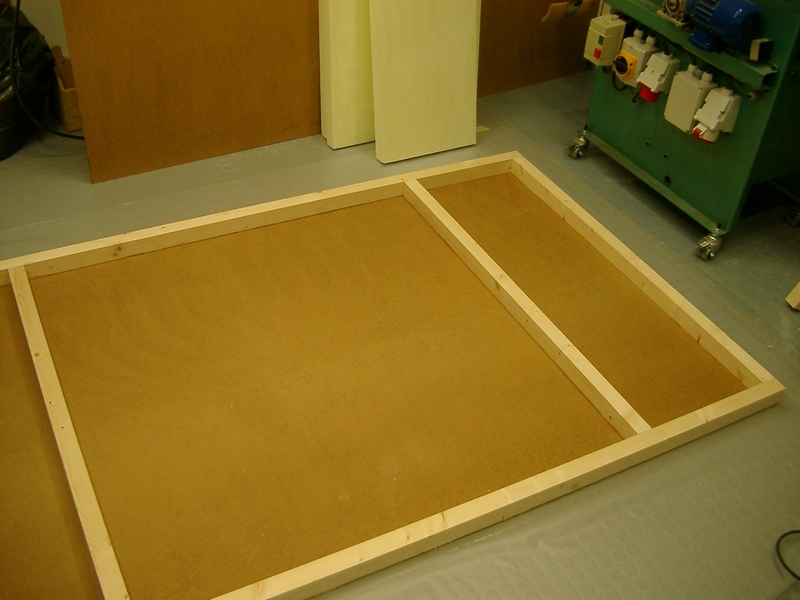 The method is commonly used when building flat exterior doors. And filled with stiff XPS insulation. 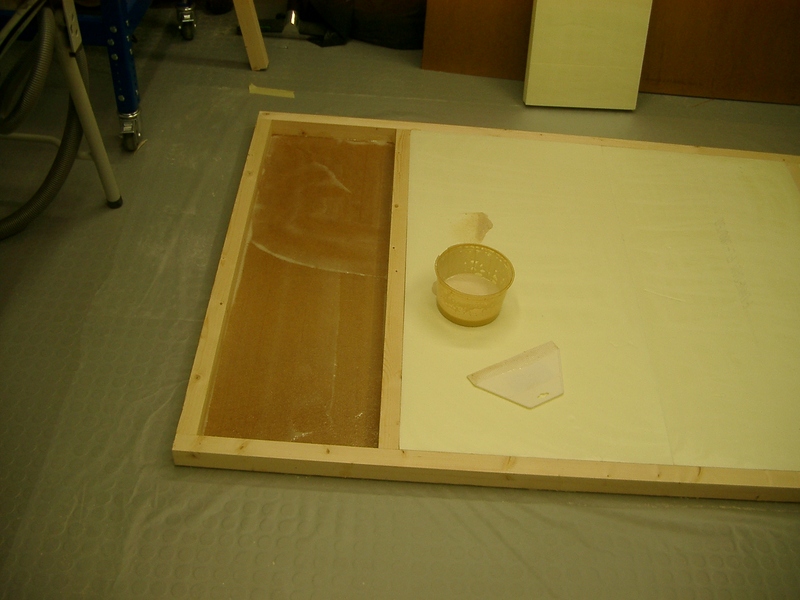 I Used an Urea-Formaldehyde glue of the brand Polymite. The skins were attached with glue and screws. A pneumatic crown stapler would have been faster and better. 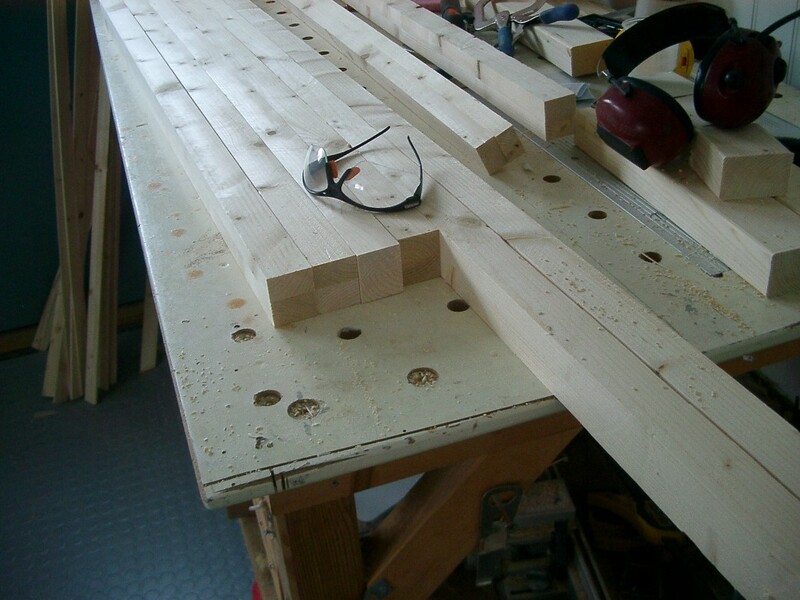 The table top was placed under pressure from a few things I had laying around in the shop. I cut some left overs from the XPS insulation into 15 mm thick veneers in the bandsaw. 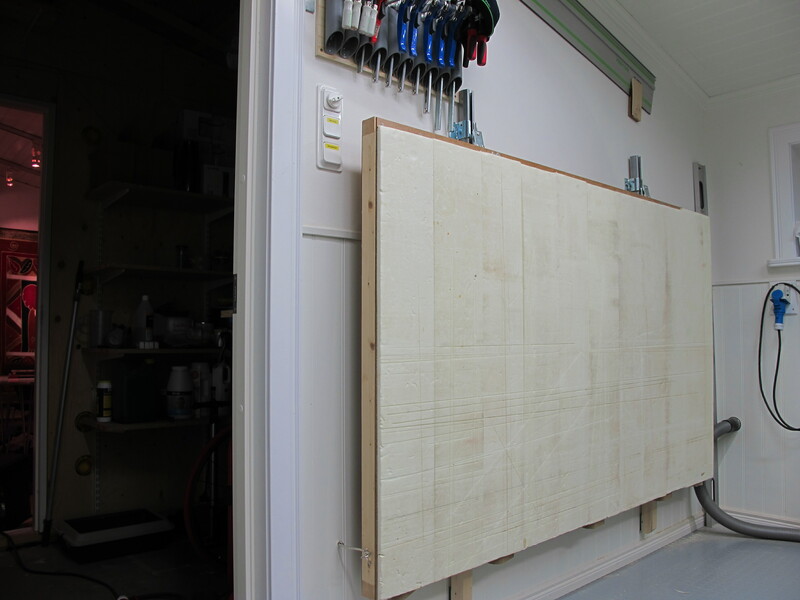 The XPS veneers were glued to the table top with hot melt glue to make a cuttable surface. Some supports were attached to the edge of the table top. These supports are used to place sheet goods on when the table top is upfolded. These supports can be flipped out of the way when the table is downfolded and used for cutting sheet goods. 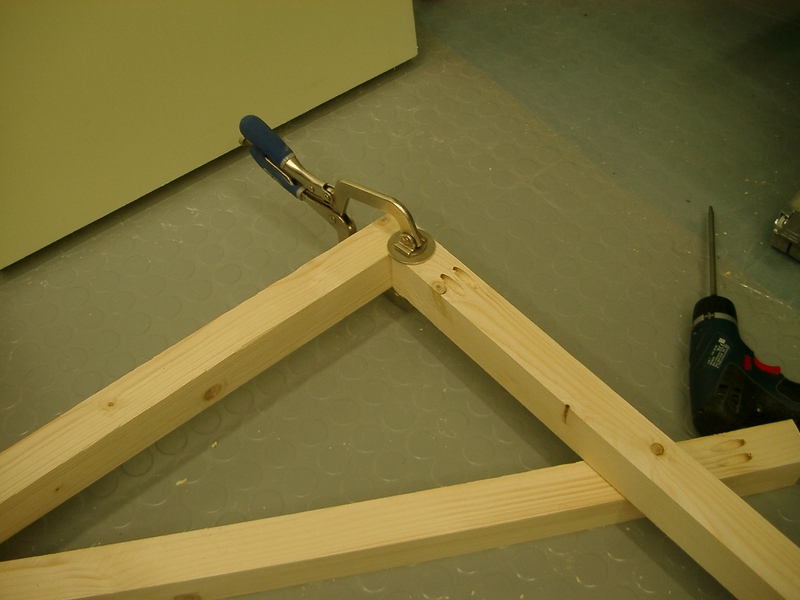 The support legs are attached to the table with hinges. There is some metal working involved in the building the linkage. My folding table didn’t require any welding though. Love your space. I also work in a microshop and I love seeing what others do with their small space. Hope you continue to write about your future modifications!